Donate to Nugent's Christmas Appeal this year - and help us help people avoid homelessness! Over 307,000 people in Britain are homeless today, an increase of 13,000 in the last year alone. More than the population of Newcastle! Over 4,700 people are estimated to be sleeping rough on any one night across the UK, a 15% increase on last year. A 169% increase since 2010! Rough sleeping in the North West increased by 39% since 2016 the highest increase in the UK. In the last year, over 440 homeless people have died on streets or in temporary accommodation in the UK (Oct 2017 – Oct 2018). 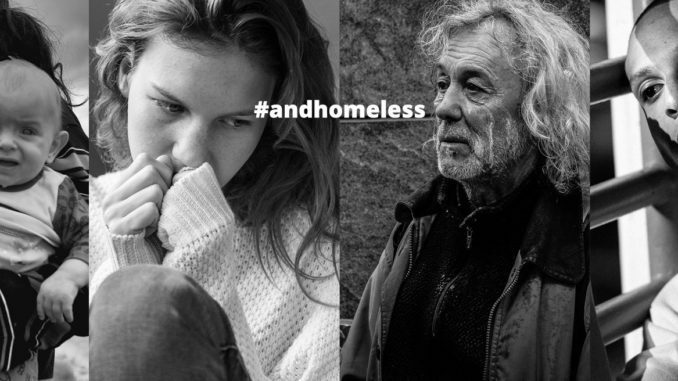 Homelessness is not just about having not having a roof over your head, the long-term impact on mental and physical health can make it harder for people to find support, and is having a major impact on our health care services. Benefit cuts have left poorer tenants unable to pay the rent. In particular, the four-year freeze on housing benefit in the private rented sector, called local housing allowance, is pushing people into homelessness. 150 families are made homeless in Britain every day. There are over 125,000 homeless children living in Britain today. A rise of 40% in the last five years, and the highest number for over a decade. More than 33,000 homeless families are holding down a job, despite having nowhere stable to live, up by 73% since 2013! During winter, we need to be conscious of the individuals shivering in doorways, and of the families whose Christmas will be spent in cramped temporary accommodation or hostel room with their children. Our Housing Support Unit (HSU) works with partners across the city to help homeless people and those in crisis. Through our New Beginnings Project, we help people across the city region by providing temporary accommodation, practical support and advice, which enables people to get back on their feet, live independently and move on to their own permanent tenancy. Whilst the staffing and support elements of this service are funded, there is a gap and an increasingly unmet need in the practical support that we can provide. People often come to us with nothing, so our HSU team provide starter packs of essential equipment to help them transition into temporary accommodation and permanent residence. Our Housing Support Unit (HSU) works with partners across the city to help homeless people and those in crisis through our New Beginnings Project. Our Christmas Appeal this year will raise funds to support our homeless projects and Christmas crisis fund. For more information contact Nugent’s Fundraising team on 0151 261 2000. LightNight 2019: Ritual Full programme released! COULD IT BE MAGIC? CRUISE INTO EASTER WITH MERSEY FERRIES!